We are approved by the Hawaii Department of Commerce and Consumer Affairs (DCCA) as a continuing education provider (Provider ID 309807). Don't let continuing education requirements slow down your insurance career! All of our online courses can be completed At Your Pace Online in order to help you renew your insurance license, and never include any hidden fees. Once you complete one of our online courses, we will report your course completion directly to the state for you. 3 of the 24 hours must be approved on the category of Ethics. 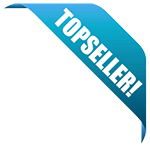 Courses must be completed based on the license type held. Multi-line producers must complete 10 hours in life and health and accident or sickness, 11 hours in property and casualty, and 3 hours of law or ethics. This package provides all 24 hours of CE that you need! This course will review key concepts and principles of Life and Health insurance. In addition to 21 hours of general life and health content, this course includes 3 hours of ethics, and the mandatory exam. This course applies to producers in the P and C line of insurance, and provides all 24 hours of CE that you need! This course will review key concepts and principles of Property and Casualty insurance. In addition to 21 hours of general Property and Casualty information, this course includes 3 hours of Ethics and the mandatory exam. This course is designed to meet the continuing education requirements for Hawaii insurance agents. It addresses topics in Property and Casualty Insurance such as commercial coverage, commercial auto, coverage for business owners, workers' compensation insurance, and more. This course offers 10 hours of continuing education in Life and Health insurance for currently licensed insurance agents in Hawaii. This fulfills the state requirement for continuing education in this area. This 3 hour course will meet your one time Certification Requirements to start selling Flood Insurance in the state of Hawaii. This 4 hour course will meet your one time Certification Requirements to start selling Annuities in the state of Hawaii. This course applies to producers in all lines. It includes Ethics for Insurance Producers. This course satisfies the ethics training for any Hawaii insurance producer. 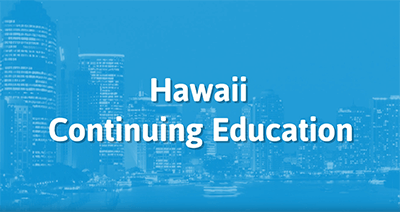 This confirms your request to renew your continuing education provider certificate for insurance licensees in the State of Hawaii. The provider certificate is extended to July 1, 2019. Attached is a list of continuing education courses, if applicable, those has been renewed and are extended to July 1, 2020. Please notify the Hawaii Insurance Division, in writing, of any changes in contact person, business and mailing address or contact telephone and fax number.